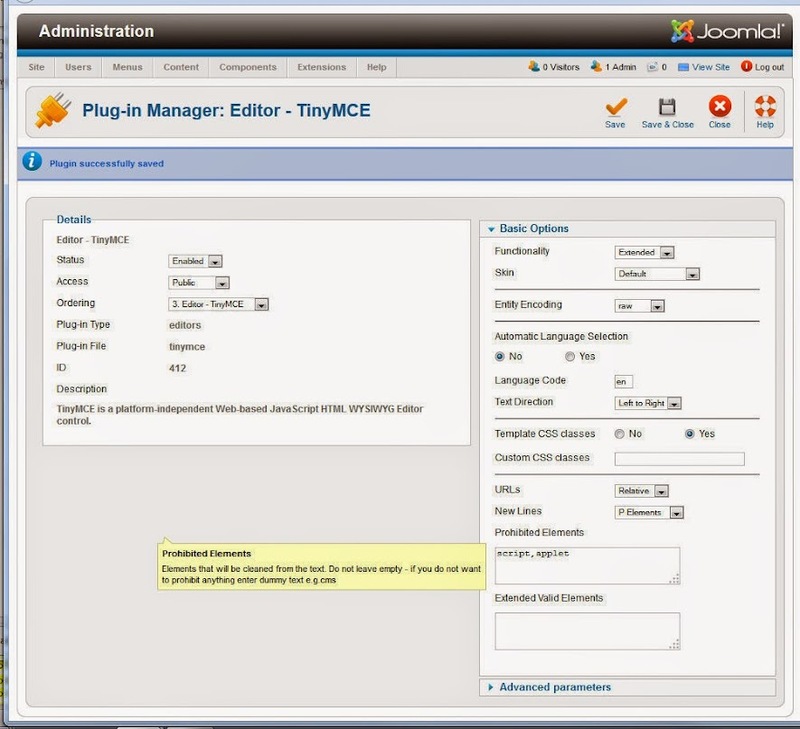 In the results list, select Editor - TinyMCE. The default text is; script,applet,iframe. Select Save from the top left menu.